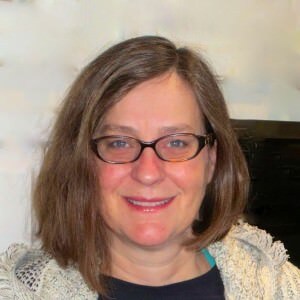 After months of casual interactions on the same social media groups and more recent on-line conversations about joining forces to put together a research study, I had the absolute honor this week of speaking to Beth Calabotta. 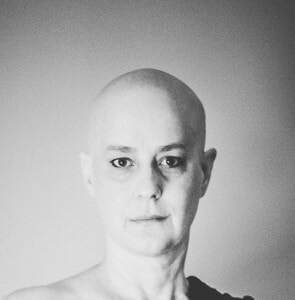 Beth is living with metastatic breast cancer. She is struggling with her doctors to find more effective treatments to give her more time. She is also dealing with the multiple side effects and complications of years of aggressive treatments, and yet she is going full steam ahead to educate, spread awareness, and promote more involvement in studies and funding for research for this stage of breast cancer. Beth was initially diagnosed, like I was, with Stage 3 ER+, PR+, Her2- breast cancer in 2008 after finding a small lump (she thought it was a mosquito bite) on her breast. After further tests and a biopsy, cancer was confirmed. However, like 2/3 of pre-menapausal women, Beth had dense breasts and had literally just received the “congratulations you had a normal mammogram” letter. She was stunned and thrown head first into “cancer-world.” Beth was 40 years old at the time, married, and working in ag biotech in scientific public policy. Beth underwent a lumpectomy. The doctors felt sure they were able to cut out the tumor with good margins, and she began aggressive treatment including a mastectomy, chemotherapy, radiation, bone strengtheners, and hormone therapy (which she continued for 6 and a half years). Beth was enrolled in 2 clinical trials during that time and she her doctors did everything she could to treat her cancer. However, in 2014, after months of bone pain in her hip, Beth noticed her breasts looked asymmetrical. A diagnostic MRI revealed a “massive local recurrence” and that her breast was now full of cancer. She was not diagnosed with metastatic breast cancer yet though. She had increasing bone pain, but doctors thought she had a cyst on her hip and a disc problem in her back. She underwent more treatment, chemo, re-irradiation with hypothermia and hormone therapy. Her body had now been ravaged by this disease a second time and she was trying to re-build her life. However, Beth was in pain all the time. She could not walk long distances but continued to use swimming as an outlet. In August 2015, still experiencing intense bone pain, she underwent a bone scan. This time her hip and back lit up. Unfortunately, Beth finally received the news she suspected but feared, that her cancer had spread outside of the breast, metastasized. As she had already been through the full arsenal of treatment twice, her options were limited and she and her doctors have been struggling to find options to stabilize or improve her condition ever since. Her cancer has continued to progress and has spread to her liver as well as her bones. Beth is being treated with chemo every two weeks but there are of course side effects and her pain persists. Beth explains that she tries to set both long and short-term goals to keep her going mentally and physically. For June, her goals were to attend the American Society of Clinical Oncology (ASCO) conference, and to train for and swim a 2-mile race. Beth did attend ASCO. However, while training for the swim event, she noticed that something was hurting her every time she breathed. It seems she may have broken a rib from the cumulative impact of radiation or from the debilitating impact of cancer in her bones. Her hopes of swimming the 2-mile event – or even swimming at all right now are dashed. She always asks herself, “What can I do?” Not, “What can’t I do.” She tries to stay positive and channel her anger into action. The primary message she would like people to know is that metastatic breast cancer is a killer and it is not funded. Less than 2% of the funding for breast cancer research goes to research looking at treatment for metastatic breast cancer.Beth has educated me and so many others about the importance of funding research for metastatic breast cancer and getting patients involved in studies such as the MBC project with the Broad Institute, www.mbcproject.org. 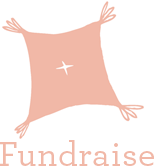 You can all support Beth and her efforts to raise money for The Cancer Couch Foundation by registering for, or sponsoring her, in the upcoming Beth Calabotta Swim Challenge September 3, 2016. I will be heading out there myself with my sisters to support this incredible event and this amazing woman! Thank you Beth for sharing your story with The Cancer Couch, for inspiring and educating me and so many others to keep fighting for those living with mets, and for all you are doing and have done. I, for one, am standing beside you and behind you rooting for you and supporting you in all you do. You are in my thoughts and prayers daily.